At “Growth” we are passionate about Growth - Your growth ! "Growth" is The Non Governmental Organization (NGO) registered at Charity Commissioner Office, Ahmedabad. Mission of "Growth" is to motivate people to explore & use more of their potentials to achieve their dreams. Psychological studies reveal that most people use only a small portion of their true talent and abilities. “Growth” helps participant realize their hidden potential and channelizes it for constructive usage- both for personal excellence and achieving organizational Goals. The growth process focuses on students to set and achieve goals, become self–motivated and develop positive mental attitude. We are working towards Integrated Slum Development promotes Livelihood training for Employment and Entrepreneurship targeted at youth and women from economically weaker sections and enables them gain access to opportunities for sustainable livelihoods and growth. An MBA in Rural Management has rich experience of more than 8 years in the corporate & social work . He has given services to various Management & Engineering colleges and other educational institutions for many years.He has worked with over 12,000 people, helping them to motivate to explore & use more of their potentials to achieve their dreams for personal excellence and achieving organizational goals. He loves to help people realize the power within them. He believes that every human being is a unique creation of God they are not useless unfortunately they are used less. Kusum is an MBA in HR and post graduate in Anthropology. worked with many people to develop their potentials .She is devoted in helping people through develop positive mental Attitude. She has done wonderful job by trains the slum youth and places them into corporate sector. She has done remarkable efforts for candidates to pull them from slums to Retail. Harish Gidwani has graduated in Ancient Indian History and English from Lucknow University. He has a vast experience of Retail Sector in Africa. He has experience of 5 years in the field of Sales and Marketing in West and Central part of Africa. He is a authorized Retail trainer of Govt. of Gujarat. He is a good communicator and has conducted many programs on Sales & Retail Management. Dr. S.K.Chawla is associated with “Growth” NGO as an Honorary Legal Advisor & Consultant. He is a man of Sales and marketing, teacher by profession and a researcher by interest for 25 years. 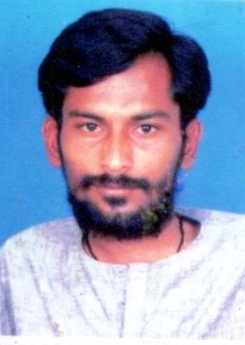 He did his M-Phil, L.L.B and Ph.D. from Ahmedabad. He is associated with various organizations, and has written books on Entrepreneur development and various subjects. Mr.H.T. Menghani has rich experience of about 35 yrs. in various capacities, out of which 20 yrs. In Training Graduate/Technicians and ITI (NCTVT) Apprentices under Act 1961. @ The Ahmedabad Electricity co. (Presently known as Torrent Power Ltd.). After superannuating Mr. Menghani has been working as a Management Consultant/ Corporate & Soft Skills trainer for about 10 yrs. 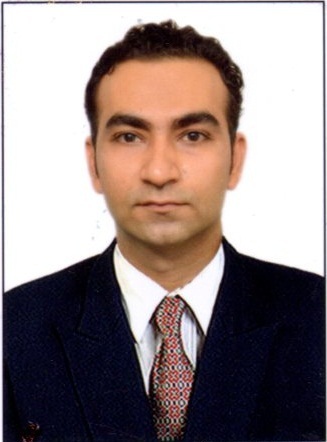 Mr.Menghani is a Management Consultant. He has done Post Graduate Diploma in Management Consulting (IMCI) , Basically a Mechanical / Electrical Engineer & Boiler Proficiency Engineer. Worked as a President, The Ahmedabad Electricity Co. Ltd. Officer’s Association. Hetal is an MBA and M Phil . Having 6 years experience in education field. She worked in ICFAI university and IIPS, evronn as a faculty. She worked as a visiting faculty in various reputed college of city. She loves to work with children she has worked with more than 2000 children. She has got Rajiv Gandhi, TARUN UDAY award in 2007 in contribution to dance and NCC and got certain values to live life and be better citizen. Suresh Akela has no much academic qualification but has super natural power of understanding human psychology because he is nature’s special child with 95% physical disability. His personality itself is the massage for the society “In the middle of the difficulty lies Opportunity” he is one of the inspiring source of our team and Society.